"Experts in outsourcing Chat Support"
I can use unused chat from the last month which is great. I can customize my chat tool by adding my own logo. Deskmoz Dashboard allows me to compare the lead/chat ratio, most visited and referred pages to get an insight of my user's activities. Deskmoz can integrate with several programs, including Zapier integration, to turn your live support data into valuable business tools. There is nothing to dislike about Deskmoz. Their services have been satisfactory. Definitely use your 10 days free trial. After purchasing the plan, make sure to update the FAQs and provide the scope of improvement to help the chat agents serve your clients better. I noticed an increase in qualified leads on my website within just one week of signup with Deskmoz. The chat agents provide a satisfactory chat support which results in good word of mouth and I get more potential customers on my website. 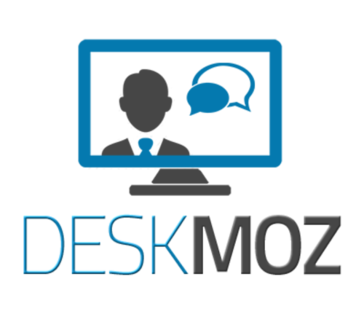 "Fully integrated customizable chat client"
Love the ease of integrating DeskMoz with other softwares and services. MailChimp and ZohoCRM are what we use so to add DeskMoz into our process was fast and simple. Still integrating, testing and using, but so far not much. Maybe the shading is a little dark, but, we're picking here. Chat client that wasn't buggy that integrated with our other existing systems. * We monitor all DeskMoz reviews to prevent fraudulent reviews and keep review quality high. We do not post reviews by company employees or direct competitors. Validated reviews require the user to submit a screenshot of the product containing their user ID, in order to verify a user is an actual user of the product. Hi there! Are you looking to implement a solution like DeskMoz?